There's reverb, and then there's reveeeeeeerb. 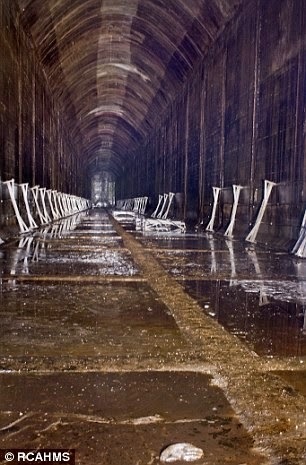 An abandoned World War II oil tank buried deep in a hillside of the Scottish highlands holds the world's record for reverb time at an astonishing 75 seconds! The tank, located outside the town of Inchindown, is vast, measuring over 600 feet long, 30 feet wide and 44 feet high. Acoustics professor Trevor Cox of Salford University shot a pistol about a third of the way down the tank, and the following sound file is what he got. You can read about other acoustic wonders on Smithsonianmag.com.